Practical information on techniques and studio practice. 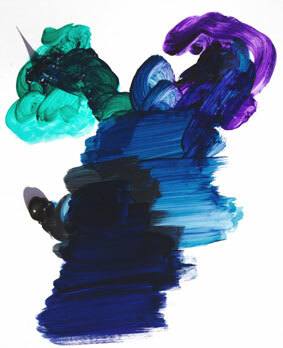 I remember being told in art lessons at school that you cannot mix blue, this is how it is done or at least how to mix indigo. As we know as artists when we mix colours we are mixing pigments, chemicals substances in some form and the result is not always what we expect. I use acrylic indigo when sketching and for my under painting which I mix in batches once or twice a year using Dioxazine Purple PV23, Phathalocyanine Green blue shade PG7 and Mars Black PBk11. I mix it in a bowl testing on a gesso primed surface. So the transformation can be seen here I am mixing the pigments on white card. I would normally mix the purple and green together until I have the maximum blue hue and then mix in a small amount of black as can be seen lower left until I have the shade of indigo I require. Diluted mix on watercolour paper. 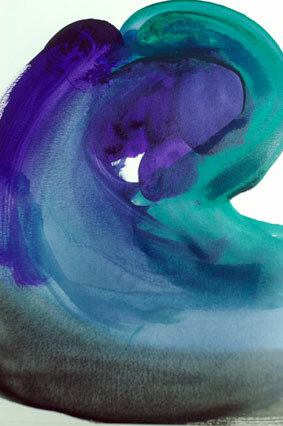 The mix holds together very well as can be seen here where it has been dropper into a wet surface on watercolour paper. 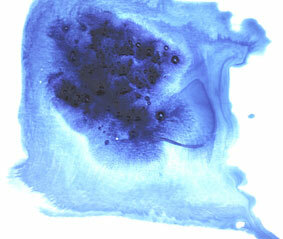 Some premixed indigos using blue pigments and black will have a tendency to separate when diluted into washes.